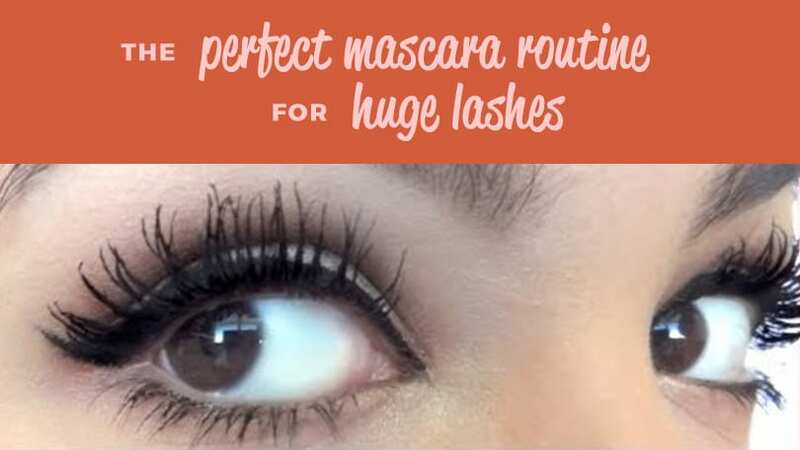 >> Perfect Mascara Routine – How to Get Long Eyelashes Without Extensions. This process requires some time and patience, besides three mascaras with different brushes and purposes so you can separate your lashes enough so they don’t look clumpy. Here’s a practical tip to determine if you’ll like a mascara or not: what the mascara brush looks like is what your eyelashes will end up looking like, so think it through! The brush is a little comb, and its bristles are really short, small, and thin. This brush is better for short lashes because it will make them look much longer than they actually are. The comb part shows it’s optimal for separation, because it basically combs through each of the eyelashes. The bristles are straight and have the same amount of separation as the L’Oreal Telescopic Shocking Extensions mascara, so you can get clump-free length and volume from this one. The brush is shaped like a scoop, so it will scoop your eyelashes up and curl them. The roundness at the end will also provide more volume (hence its name “flared”). 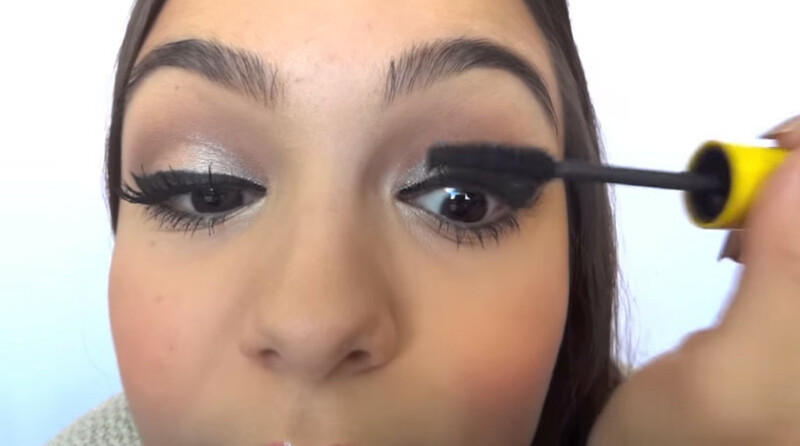 Start doing the bottom eyelashes only because they’re usually much shorter than the top ones. Simply open your eyes and comb the roots from side to side. If you do the ends they’ll look too long, but if your eyelashes aren’t more than half an inch long then it probably won’t look bad either. 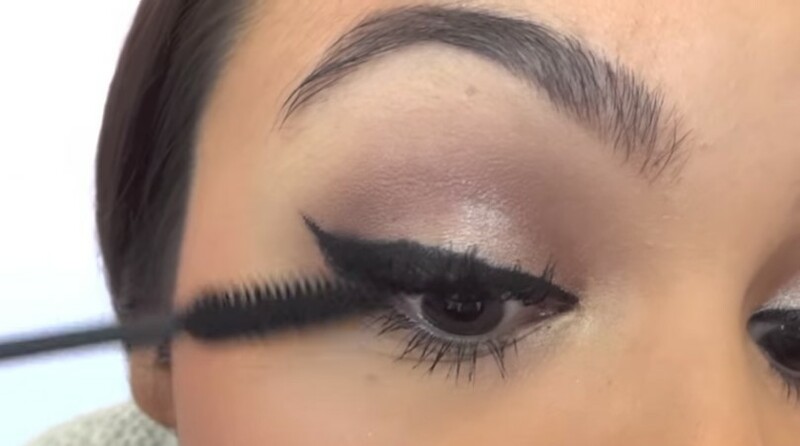 Optionally, you can also curl your eyelashes before the following step. Tilt your head back, put your chin up, and look down with your eyes. 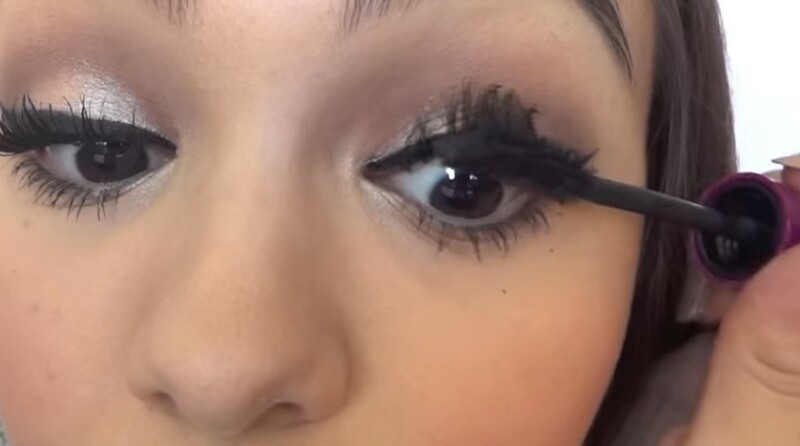 This way, the mascara won’t touch your eyelid, which ensures that you don’t get unwanted mascara stains anywhere. 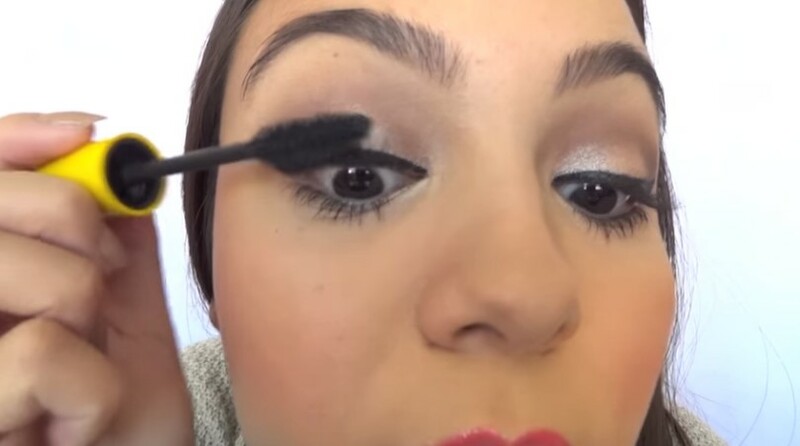 It also helps keeping it away from your eye shadow, so you don’t have to worry about additional touch-ups after. With your head back and your eyes down, comb only through the ends of the eyelashes, because if you really want curl (or keep a curl) then you can’t apply it to the roots first. Let this first coat dry for however long it takes you to do your other eye because, if it over-dries, then you won’t be able to comb through it anymore and it will flake. There’s no going back after it dries! Apply one more coat only on the ends of your eyelashes: first, put the mascara in a side-ways motion towards the inner corner of your eye, and then go outward only it side-ways motions to make them thicker rather than longer. It may get on the middle of the eyelashes a little, so it’s not strictly on the ends, but don’t concentrate on the roots yet. Now it’s time to concentrate on lifting and separating the roots to add length and make them look like you have more eyelashes than you really do. Simply get close to the roots and combine side to side. 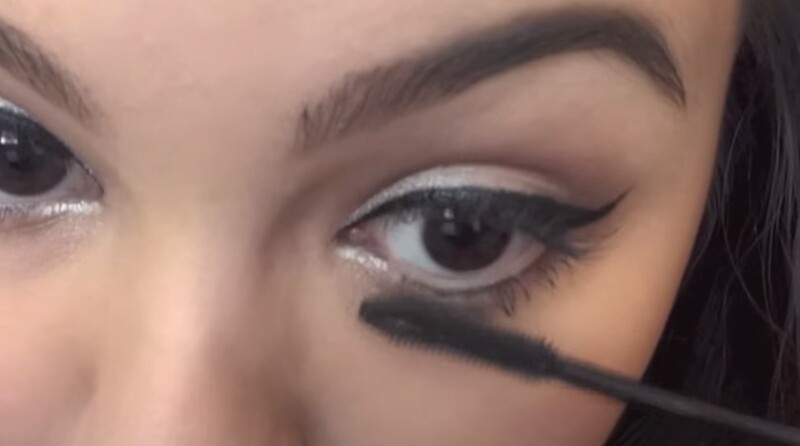 Now that the mascara on the ends has dried a little, this allows it to keep that curl: go behind your top eyelashes and push them down a bit on the outer corners to achieve a feathered look. Use the rounded brush to comb the eyelashes in a side-to-side motion at the very roots to separate them completely and make them look much fuller. This way, they won’t look clumpy. Once you’re satisfied with the amount of separation you’ve achieved, simply leave them as they are and enjoy your finished look!